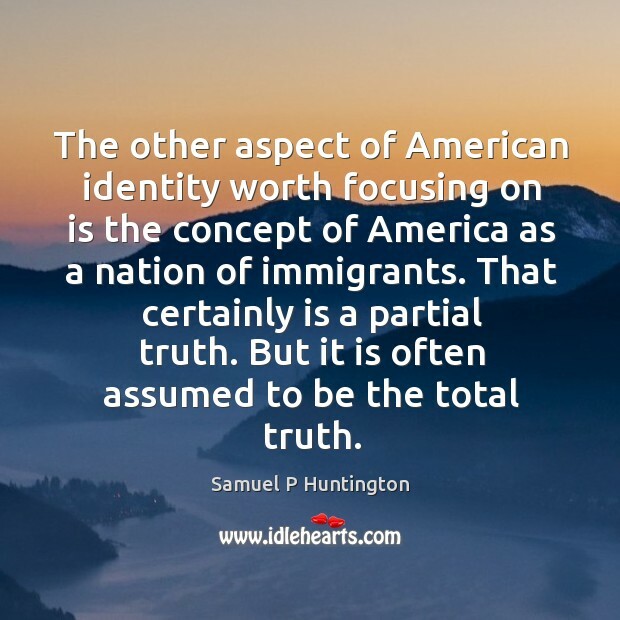 Quotations about American Identity. Quotes to stimulate mind and drive action! Use the words and quote images to feed your brain inspiring things daily! 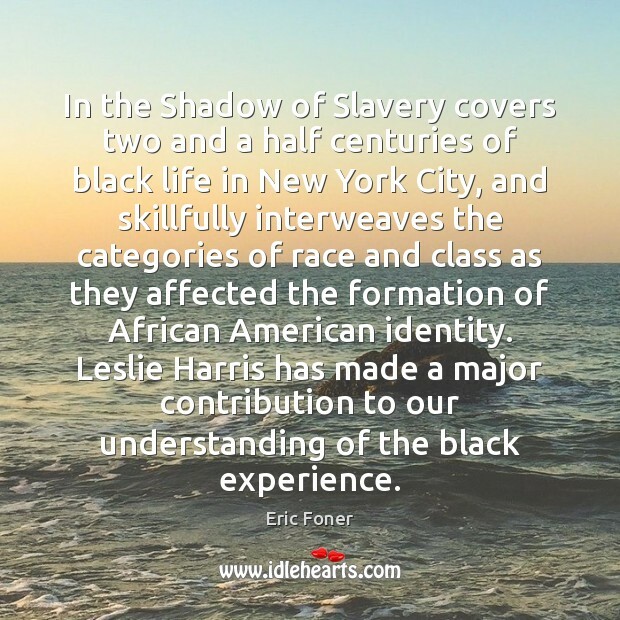 In the Shadow of Slavery covers two and a half centuries of black life in New York City, and skillfully interweaves the categories of race and class as they affected the formation of African American identity. Leslie Harris has made a major contribution to our understanding of the black experience. And you know, we were talking about American identity, and where we've come from and where we are and where we're headed. 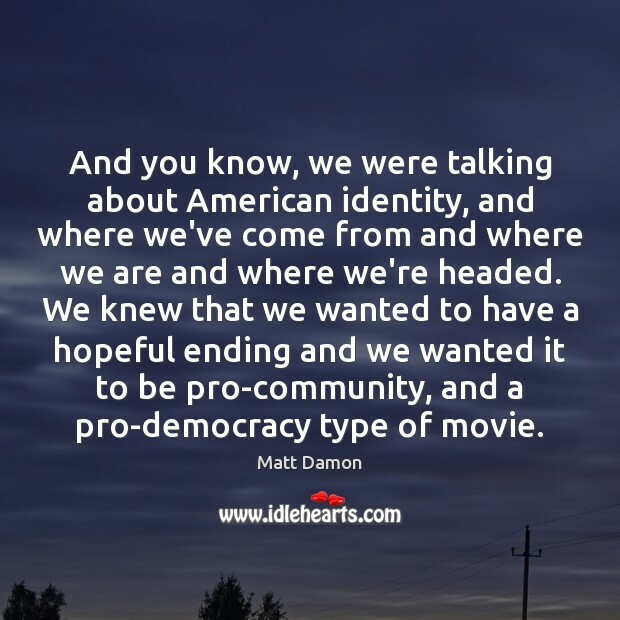 We knew that we wanted to have a hopeful ending and we wanted it to be pro-community, and a pro-democracy type of movie. 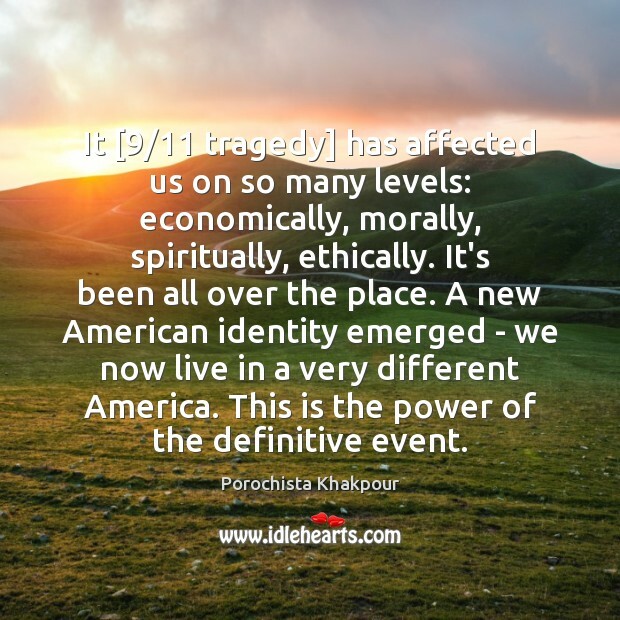 It [9/11 tragedy] has affected us on so many levels: economically, morally, spiritually, ethically. It's been all over the place. A new American identity emerged - we now live in a very different America. This is the power of the definitive event. 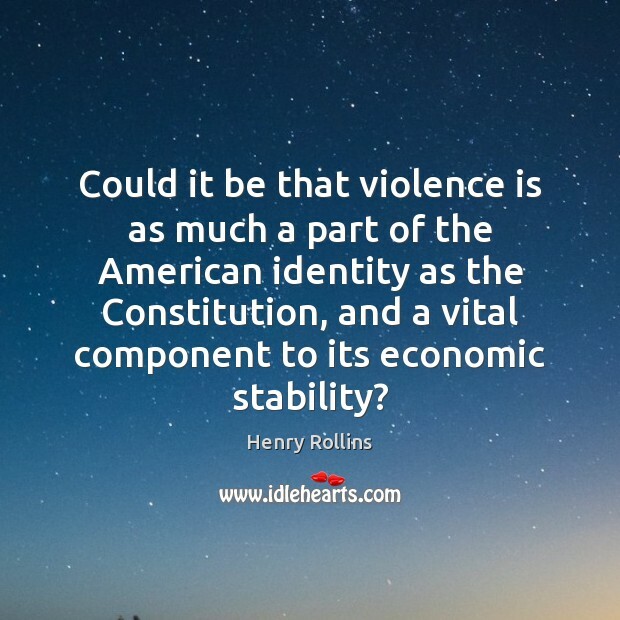 Could it be that violence is as much a part of the American identity as the Constitution, and a vital component to its economic stability? 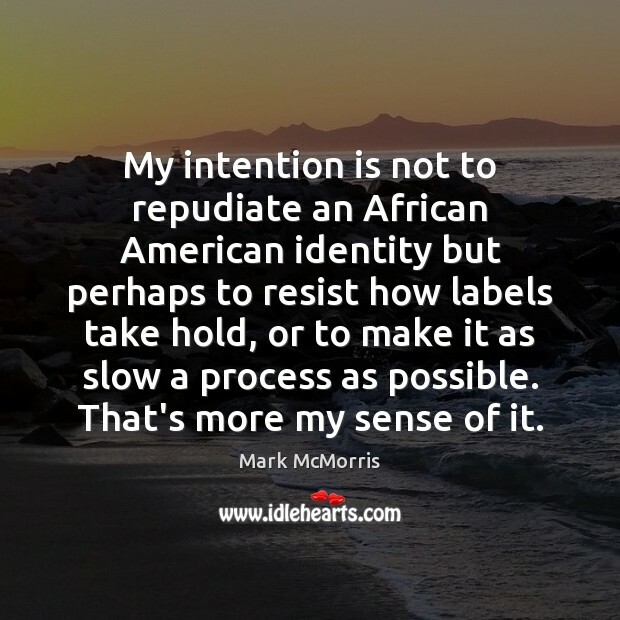 My intention is not to repudiate an African American identity but perhaps to resist how labels take hold, or to make it as slow a process as possible. That's more my sense of it. 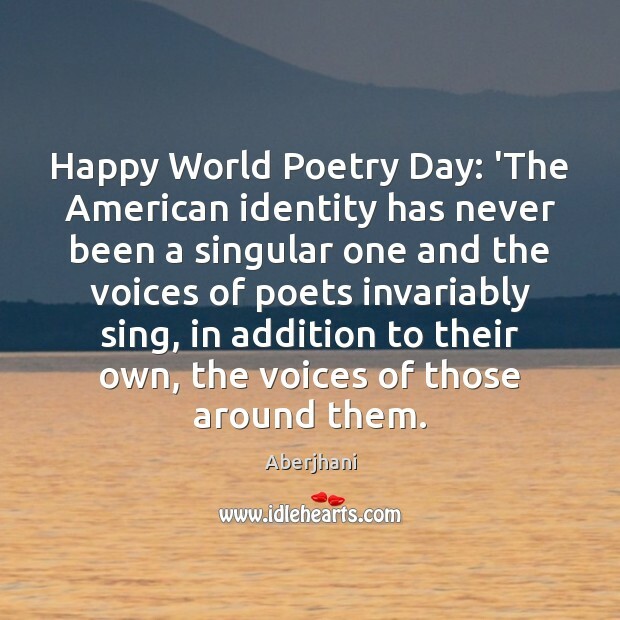 Happy World Poetry Day: 'The American identity has never been a singular one and the voices of poets invariably sing, in addition to their own, the voices of those around them. 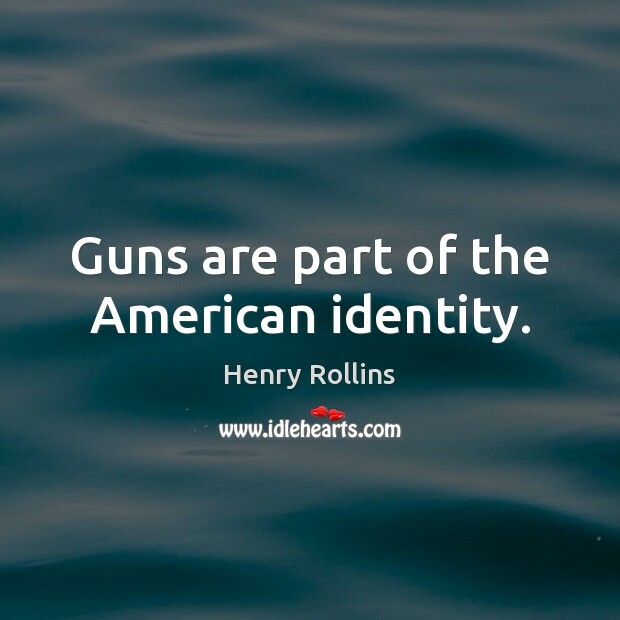 Guns are part of the American identity. 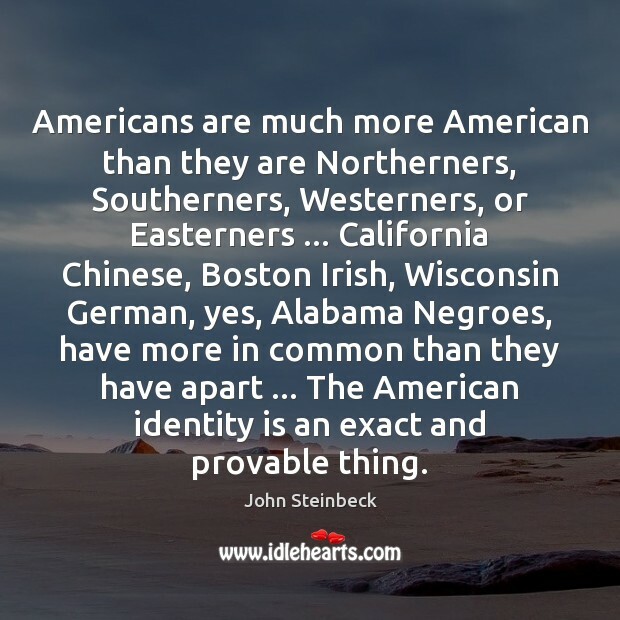 Americans are much more American than they are Northerners, Southerners, Westerners, or Easterners ... California Chinese, Boston Irish, Wisconsin German, yes, Alabama Negroes, have more in common than they have apart ... 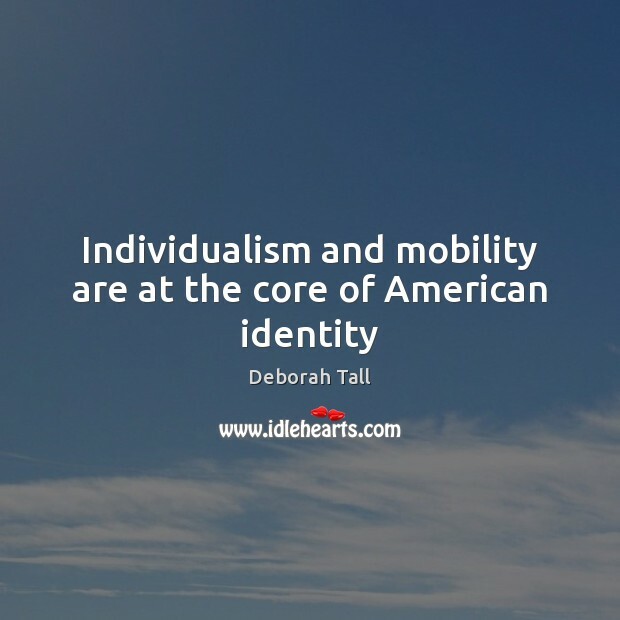 The American identity is an exact and provable thing. 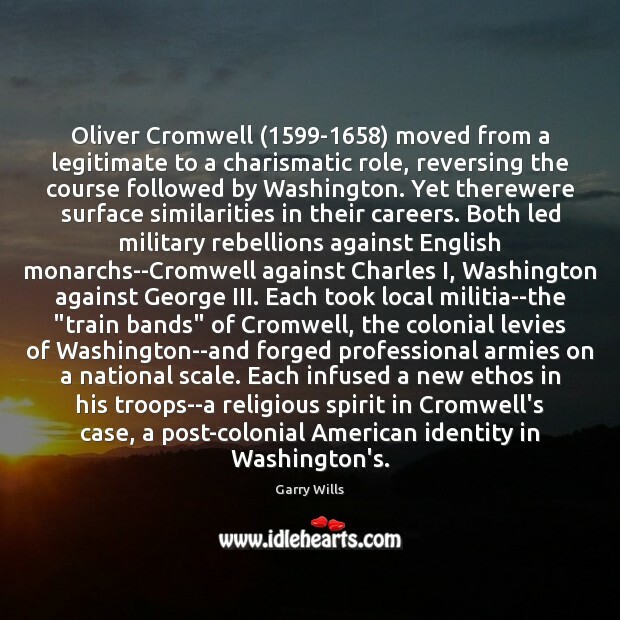 Oliver Cromwell (1599-1658) moved from a legitimate to a charismatic role, reversing the course followed by Washington. Yet therewere surface similarities in their careers. Both led military rebellions against English monarchs--Cromwell against Charles I, Washington against George III. Each took local militia--the "train bands" of Cromwell, the colonial levies of Washington--and forged professional armies on a national scale. Each infused a new ethos in his troops--a religious spirit in Cromwell's case, a post-colonial American identity in Washington's. 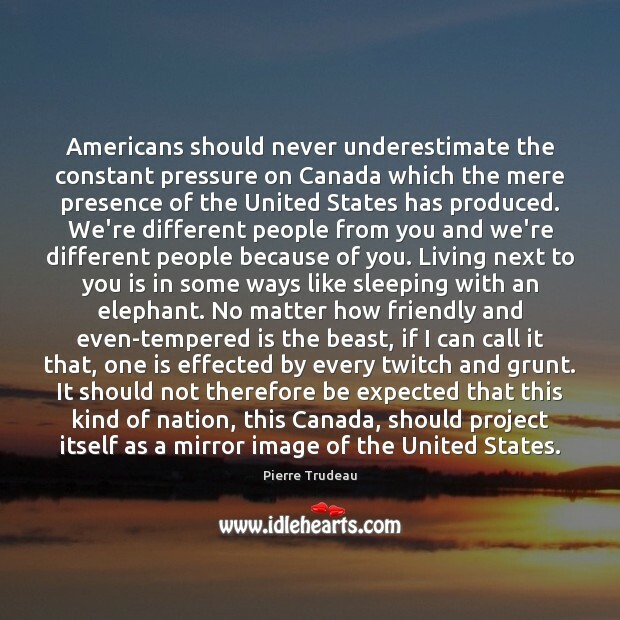 Americans should never underestimate the constant pressure on Canada which the mere presence of the United States has produced. We're different people from you and we're different people because of you. Living next to you is in some ways like sleeping with an elephant. No matter how friendly and even-tempered is the beast, if I can call it that, one is effected by every twitch and grunt. It should not therefore be expected that this kind of nation, this Canada, should project itself as a mirror image of the United States. American films are the best films. This is a fact. 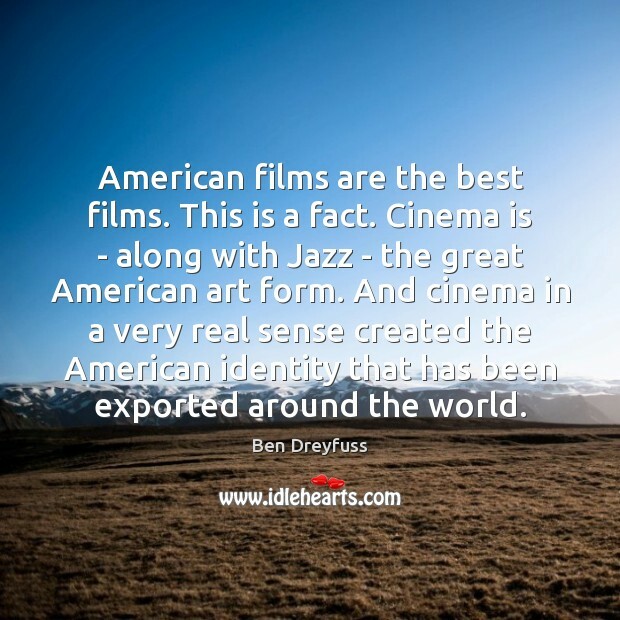 Cinema is - along with Jazz - the great American art form. And cinema in a very real sense created the American identity that has been exported around the world.